It's kind of ironic that the ArtPrize entry that has moved me probably the most so far was installed at Take Hold Church. I felt as if it actually did take hold of me. 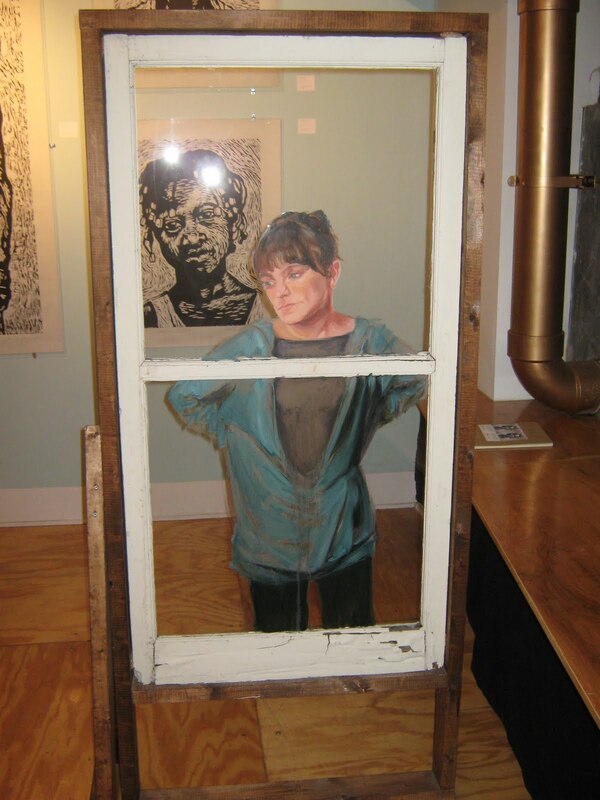 Rockford artist Alyson Dells' "Composed Existence" is a series of portraits painted on salvaged windows. They are arranged in the church's Division Avenue storefront space in such a way that viewers can walk around and amongst the paintings and become part of the work. 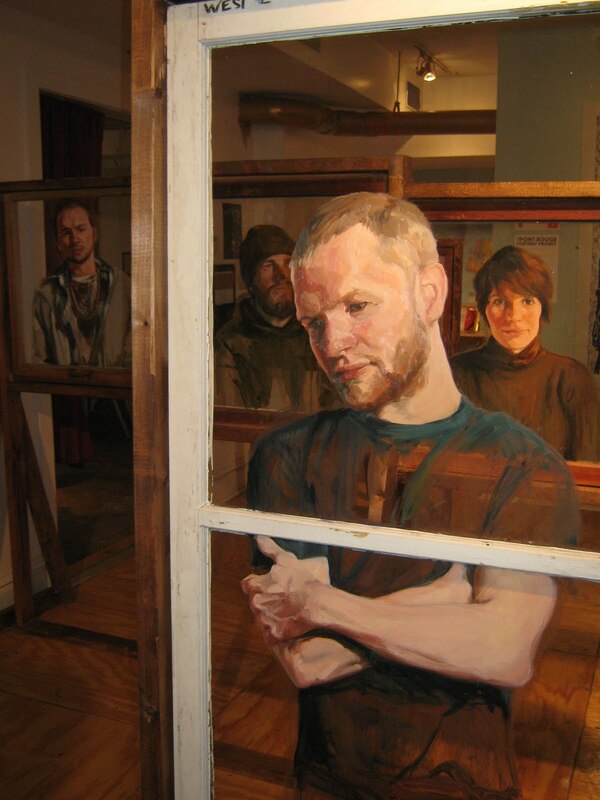 The faces look as if they are standing behind the windows, peering out. I think that's why it grabbed my attention. When I stand at a window and gaze out, I tend to be lost in thought or struggling with something internally, and stuck motionless watching life continue outside. The gazes found on these faces, whether direct or turned away, are hauntingly familiar. The expressions convey emotions we all, at one point or another, have felt, or will feel. Good observation here: "When I stand at a window and gaze out, I tend to be lost in thought or struggling with something internally, and stuck motionless watching life continue outside." If there were no windows, what would we stare at? Would we all do our staring outside before we come in the house? I like the title of the artwork above. "Composed Existence" makes me think the windowframes are a composition of the peoples' existence. 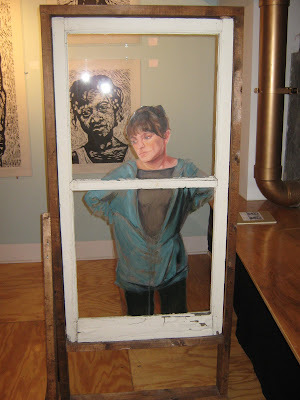 Maybe a window often reveals more of a person than they realize? Also, if there were no stairs inside, what would we stair at? Would we do all our stairing outside? We'd probably just have ladders inside, and with them... tons of bad luck.